Ever since we first tried Better Life, we have become huge fans! Their Even the Kitchen Sink has become my go to product for the toughest stuck on kitchen and house messes. We use the Whatever all-purpose cleaner almost daily. All of their products give me such great results, I'm sticking with them! We were excited to learn that their line has since expanded to include a bigger variety of products. We were sent the Soap and Lotion Kit for review (and you can win one too this month!). I love that their products are completely non-toxic and unlike many so called 'Eco-friendly cleaners', they actually do not contain any harmful chemicals. I also love the natural essential oil scents, every time I clean I feel like I'm at a spa! I am very sensitive to artificial fragrances and they make me noxious. With Better Life I can clean without gagging! We absolutely love their new natural soap and non-toxic lotion. The natural scents are absolutely heavenly, now I can dream I'm at a spa every time I wash my hands with the soap! The lotions are silky smooth, leave no residue, are not greasy, it's everything you want in a lotion. I love all the ingredients, especially the coconut oil, shea butter, and avocado oil. Sounds greasy, doesn't it? All these oils... But it's not surprisingly, makes my skin super soft without feeling like I need more lotion every three minutes. If you are expecting, the New Baby Essentials Kit may be perfect for you, it is also a perfect baby shower present! 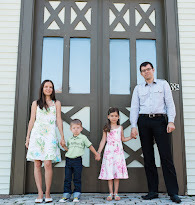 Going to a housewarming? 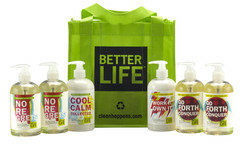 Give the gift on non-toxic clean with the Housewarming Kit. Is your car filthy? Try the Auto Care Kit. Have a dog? That's covered too with the Love Your Dog Kit. Come back May 14th to 27th during the Summer Splash Event and enter to win a Better Life Soap & Lotion Kit as part of one of two $250 prize packages! Have you tried Better Life yet? If you click on the natural soap or the non toxic lotion link, then scroll down and click the ingredient tab, you can see the entire list of ingredients. Wow they really have something for everyone don't they? i can't wait to enter this giveaway! I haven't heard of Better Life yet so thanks for introducing us to them! I've never heard of Better Life but they sound like great products! I like their labels, very nice! Oh I want! I will be entering! Awesome...I'm such a geek when it comes to soaps and lotions...they are just so much fun! I have also never heard of this company, and am excited to find out more!